We started our Saturday with some Afternoon Tea (Do as the British do, right? ). We headed off to The Original Maids of Honour. A little more about them, The Maid of Honour Tart has been part of Richmond history for nearly 300 years. It is believed that Henry VIII was the first to use its name when he met Ann Boleyn and other Maids Of Honour at his Royal Household of Richmond Palace eating the cakes from a silver dish. 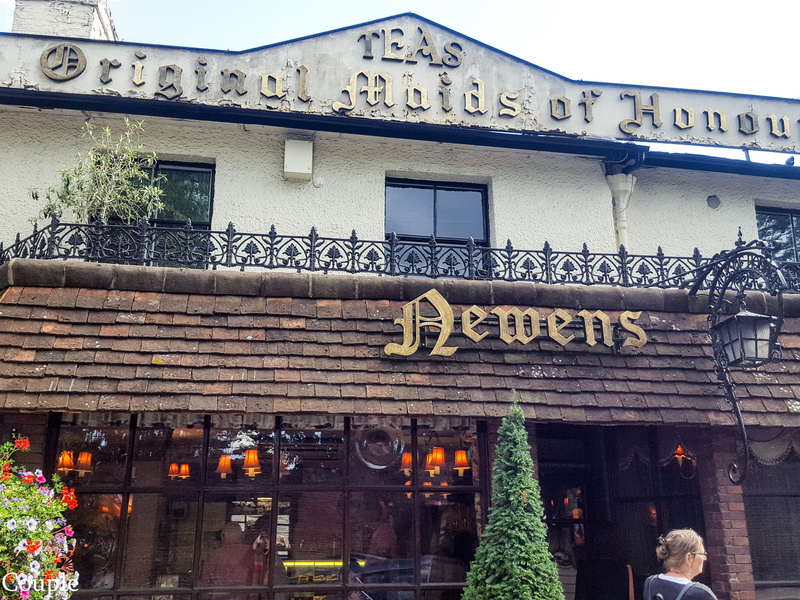 In 1850 Robert Newens continued the tradition of selling and making Maids Of Honour and in 1860 moved his shop to Kew where it can still be found to this day. The current family owners have maintained this tradition and continue to serve their long-standing specialty “Maids Of Honour”. The bakery and tea rooms also provide a mouthwatering experience for any visitor and offer a huge variety of high-quality homemade cakes, meat pies, cream teas and traditional English Luncheons. The shop now holds its own unique place in Richmond’s history has served its community and its visitors for over a century and a half. Some photos from The Original Maids of Honour.